Former British Prime Minister Tony Blair is making headlines again for his remarks that the West can’t win against the Islamic State unless we put boots on the ground. In interviews with BBC Radio and on CNN’s State of the Union, Blair stated on BBC Radio that while aerial attacks can make headway, a win can only result from ground attacks. Blair added that, because groups such as the Islamic State were “fanatical,” there was no way to defeat them without “a willingness to take casualties in carrying the fight through to the end.” He cautioned that the former Islamic State in Iraq and Syria (ISIS) is robust enough to require a ground war and hinted that Western troops might be needed in that fight. Blair reiterated this may be a situation requiring combat force. He concluded by stating the US and Britain would come to a resolution on how to deal with this threat going forward. Blair is best known for his aggressive stances on the last decade’s wars in Iraq and Afghanistan. 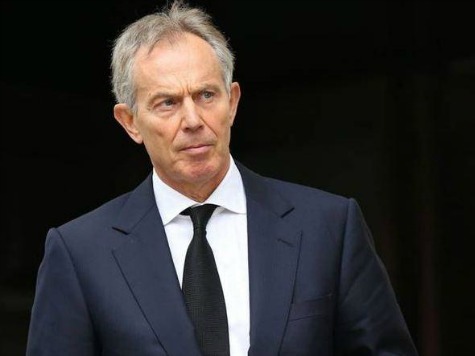 Understanding Blair’s point of view requires us to examine his ever-evolving views on war since the conclusion of his tenure and his appointment as acting UN Middle East envoy, a post in which he has served since 2007. Obama’s strategy now is to train and equip Syrian rebels fighting the Islamic State on the ground, a carefully orchestrated expansion of war powers granted to him via Congress last week. And on Saturday, President Obama replayed his war cry pledge of keeping U.S. combat troops off the ground, even against the Islamic State. In direct response to Obama’s unwillingness to commit ground troops, Gen. Martin Dempsey, chairman of the Joint Chiefs of Staff, told a Senate panel last week that he would recommend the use of U.S. ground troops if he thinks the situation warrants them. Gen. Dempey’s comments were met with political pushback from top leaders on Capitol Hill, including House Minority Leader Nancy Pelosi (D-Calif.), who scathed that she refuses to support that strategy, regardless of what the Pentagon thinks. Blair acknowledged the public’s reluctance to return to the days of entrenched warfare involving Western forces in the Middle East. But he raised questions about whether the strategy to train and equip local forces to combat ISIS will be enough to eradicate the fast-rising terrorist group.